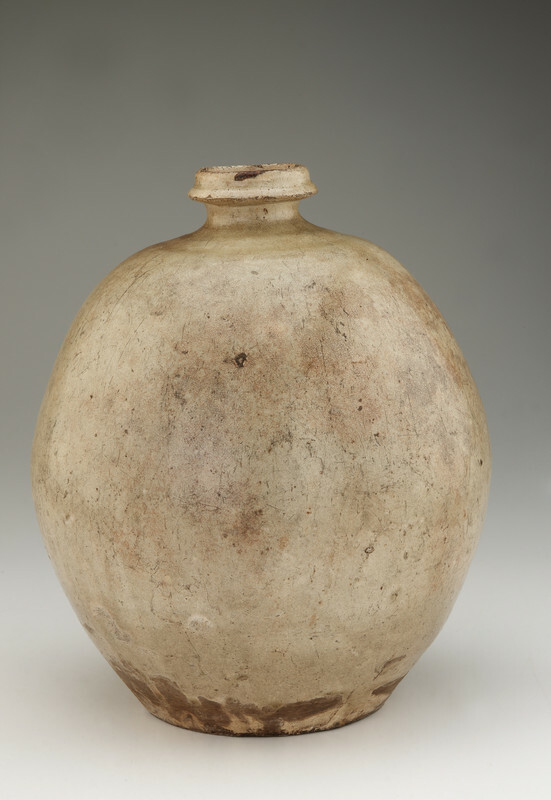 "This jar," Freer commented in an undated inventory note, "was found in Corea [sic] and was originally supposed to have been made in that country; I believe it, however, to be Chinese made during the Sung dynasty." The piece was purchased from the Boston-based dealer Matsuki Bunkyo, and it is now believed to be an Edo-period piece from Japan. In the Peacock Room, Freer placed it alongside other similarly large vessels, on the tall shelves surrounding the gilded peacock shutters. "Bottle," in The Peacock Room, Freer Gallery of Art, Smithsonian Institution, Accession No. F1900.63, Item #3179, http://www.peacockroom.wayne.edu/items/show/3179 (accessed April 19, 2019).